Jay has two paintings entered into the Art Show and he will also be vending his Robot Art and Prints both days of the Festival. Come support local artists and craftspeople. 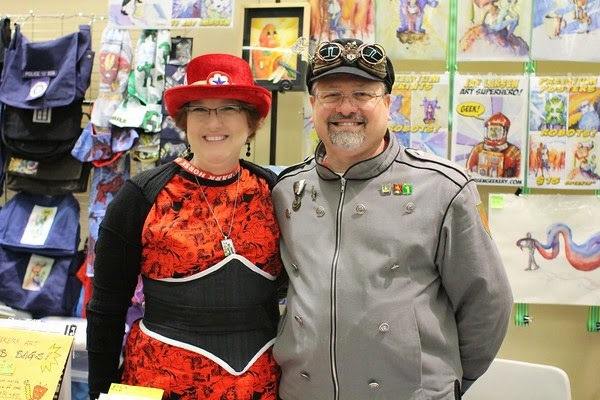 Organised by the same fine folks that bring us the Bellingham ComiCon every year, the Brick and Toy Fair focuses on Geeky toys like Lego, Robots and more. The Larsen's will be there with all the Geeky Goodness. We hope to see you at one or both of these Western Washington events. But if you can't make it to a live show, our online stores are always available for your shopping convenience. Trying to move rusty old joints and bearings without lubricating oil can mean crippling pain, or worse, for a forgotten Retro Robot. But you can help these classic science fiction creations move freely, so they can become meaningful members of society again. And all it takes is pennies a day. 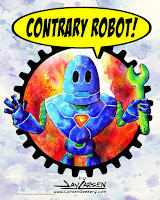 Show your support and feel the warmth that only comes from watching the twinkle in the visual receptors of a Retro Robot as he/she is able to man a communications panel, or drive a cargo loader, or any number of useful tasks. Having useful tasks to do keeps these Retro Robots from falling into the Dark Underworld of Evil Geniuses and Mad Scientists who promise unlimited power and oil, but just end up corrupting the programming of these otherwise gentle robotic creatures. 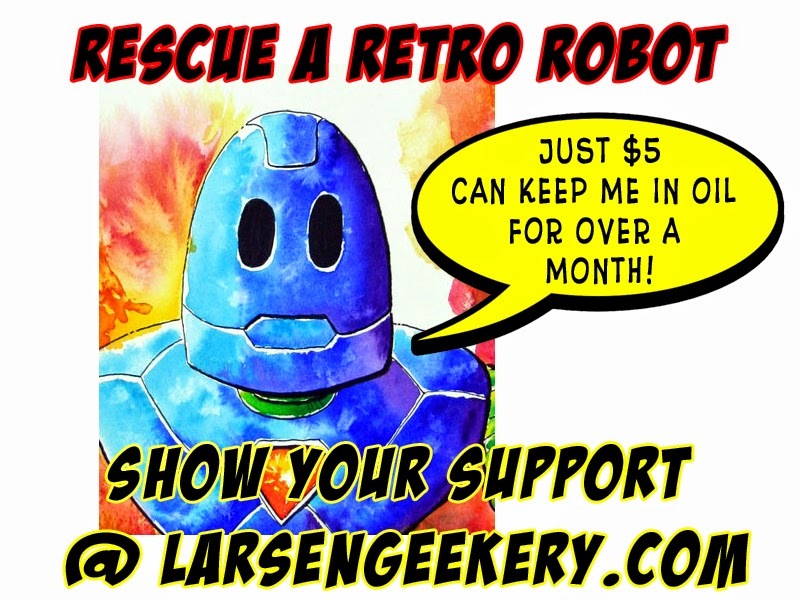 $5: enjoy a 5x7 portrait of a thankful Retro Robot. $10: receive an 8x10 portrait or a 4x5 Velcro Patch. $15: you get the glorious 12x18 poster of a lucky Retro Robot. 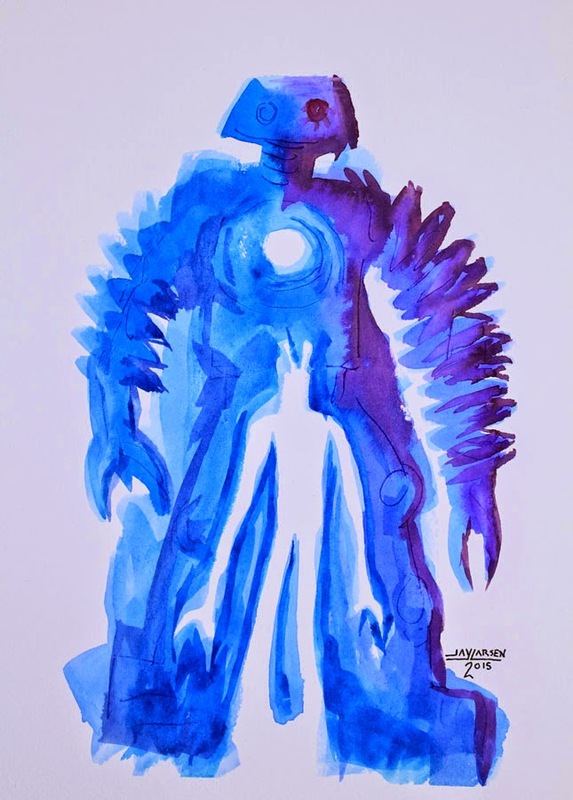 $100-$300: you can adopt an original watercolor and ink Retro Robot by Mad Scientist and Master Geek Jay Larsen. Show your support for Classic Retro Robots by displaying your gifts proudly. And remember every little bit helps a Retro Robot become a useful and vital part of society again. Check out Jay's Paintings and Prints at the LarsenGeekery online Store. 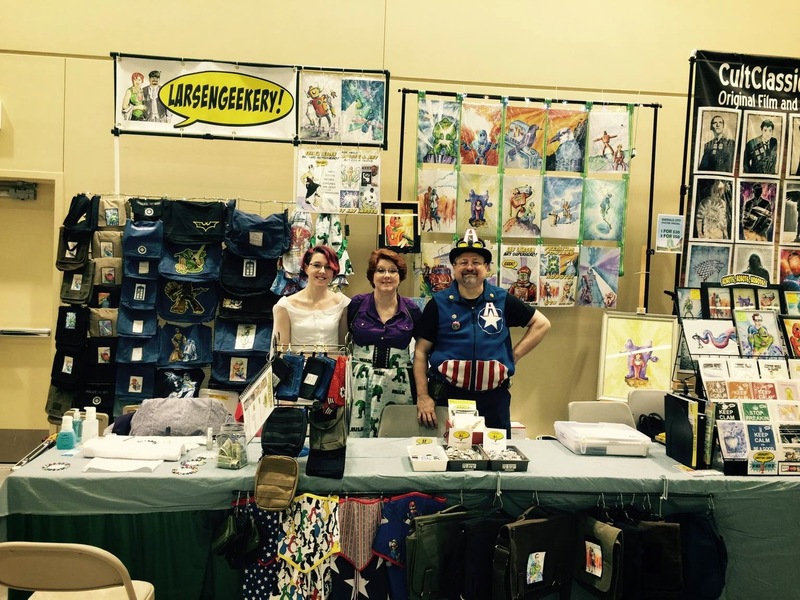 The Larsen's had a great time at Emerald City Comicon 2015 in Seattle. 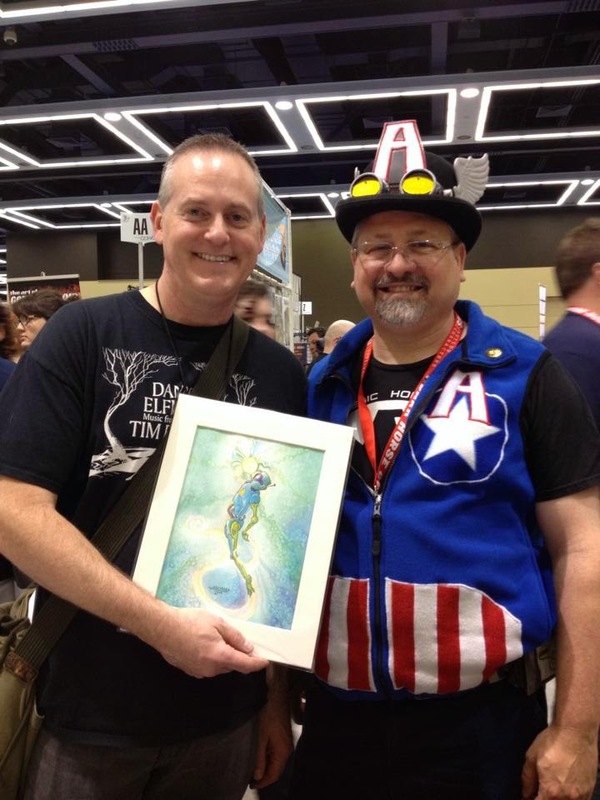 ECCC has been our biggest show in recent years, and this year was no different. We met lots of fantastic people and had a great time sharing our arts with everyone. 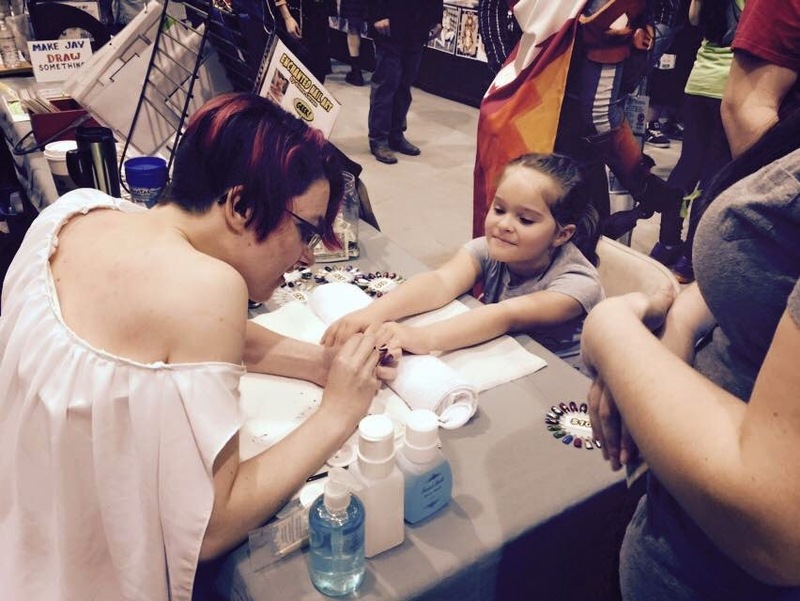 Thanks to everyone who bought paintings, prints, bags, skirts, or had their nails done by Siona. We have more shows and stuff coming up in 2015. Check out our Show Page. But we are already looking forward to Emerald City 2016, which we hear will feature an extra day! We work hard to get ready for these events, and meeting so many appreciative fans, friends and fellow artists makes it all worthwhile.